For anyone of the 50% of the population who suffer from hair loss in the UK who may be considering hair transplants as a permanent solution to restoring their hairline, one of the most important things to consider is your hairline. 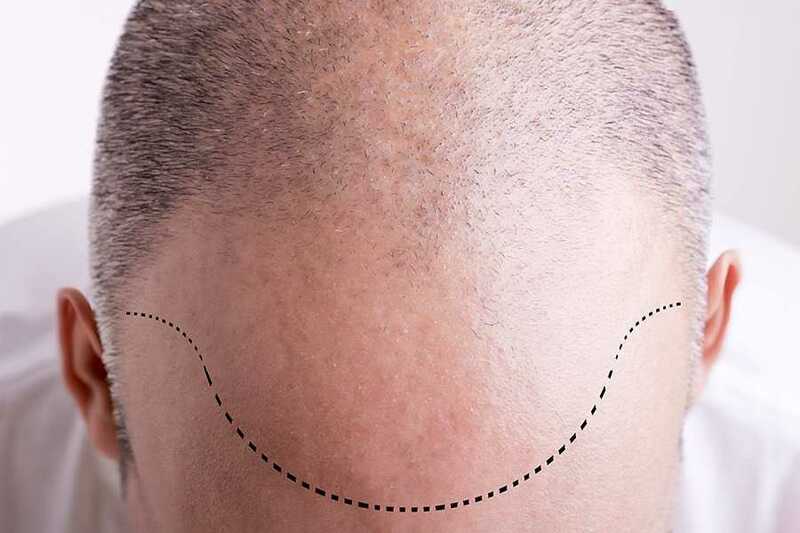 While the main focus of a hair transplant may be to add volume to restore confidence and a full head of hair, the reality is that poor hairline planning could leave poor results for your hair transplant. An inappropriate hairline can make hair transplant look unnatural and also may result in further treatments being required to correct it. Therefore planning your hairline should be a top priority. A good hair transplant should leave patients with a natural looking head of hair that enhances their aesthetic appearance and their self-esteem. This is why planning your hairline thoroughly with your surgeon is vital in making sure your hair transplant delivers great results. Whether you realise it or not, your hair plays an important role in your physical appearing, framing your face. When a receding hairline or patchy areas occur on the hairline this blurs the frame of the face and can change the appearance dramatically; making you look older and gaunt. This often makes people lean towards making a hairline too low or high to compensate for the hair loss. However finding the right balance with where your hairline is positioned and its shape will help better frame your face, making sure your hair transplants look natural and that you look more youthful in the process. There are many factors to consider when planning a hairline, such as the type of hair, natural hairline curvature, insertion angle and number of follicles. To ensure a successful hair transplant it’s about finding the balance between all factors to ensure great results. To start with you should not just look at how you want your hairline to look now, but also how it will look in the future. A low hairline on a young face make look fine now, but think how it will look in 10-20 years down the line on an older you. Equally a high hairline could prematurely age an individual, making them want further transplants to compensate. Ultimately, you want a solution that works for now, as well as for the future; ethical hair transplant surgeon will ensure you find the right balance. In addition you also need to find a good balance between the shape and curvature of the hairline. If you opt for a hairline that’s too symmetrical or rounded it will inevitably look unnatural, especially as you age. Also, during the hairline planning process you should think beyond the aesthetics of the hair transplant. With male or female pattern baldness, there is a high chance that further hair loss will occur, so when planning your hairline you need to consider the harvesting availability of healthy follicles for future procedures as well. If you harvest them all now with an inappropriately low hairline, you may not have enough to rectify any additional thinning later. Ultimately, planning your hairline should always be at the forefront of your mind with your hair transplant. Getting it wrong can not only leave you unsatisfied with the results, but also the cost of repairing it.